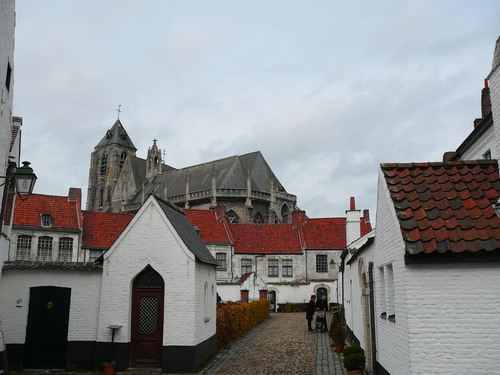 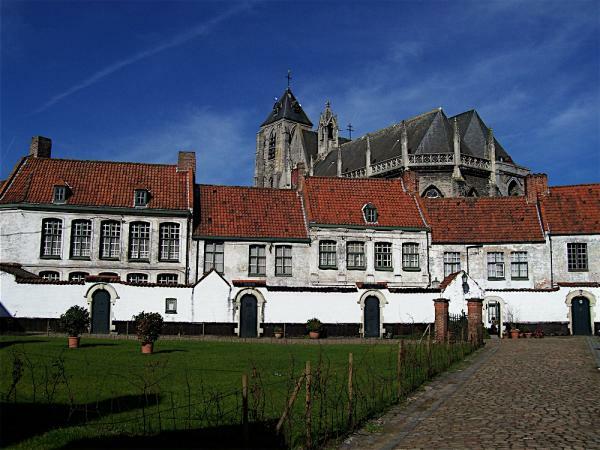 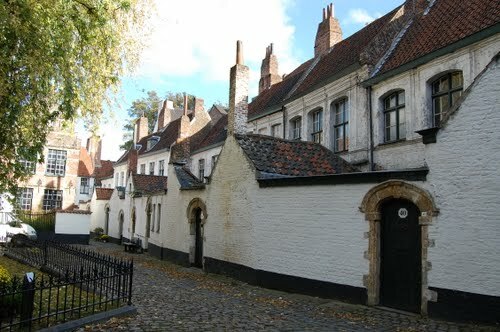 A beguinage is an architectural complex which formerly housed beguines, lay religious women who lived in community without taking vows or retiring from the world. 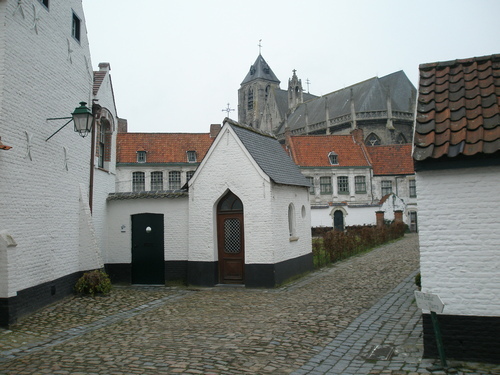 There are two types of beguinages: those housing small, informal, and often poor communities that emerged across Europe from the twelfth century on, and the 'court beguinages' (begijnhof (Dutch)), a much larger and more stable type of community that emerged in the region of the Low Countries in the first decades of the thirteenth century. 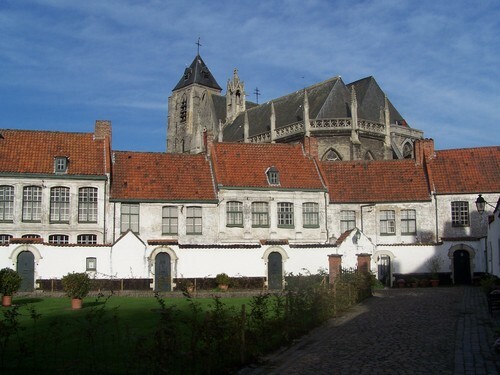 Several of these are now listed by UNESCO as World Heritage. 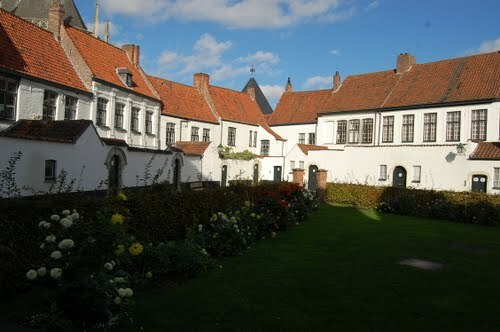 By the mid-thirteenth century, the French king Louis IX founded a beguinage in Paris, which was modeled on the court beguinages of the Low Countries.